Rewind 5 or 10 years ago and you might have struggled to even find a limited ingredient dog food or a grain-free limited ingredient dog food! Today, you may have just the opposite challenge – there are so many different options to choose from! 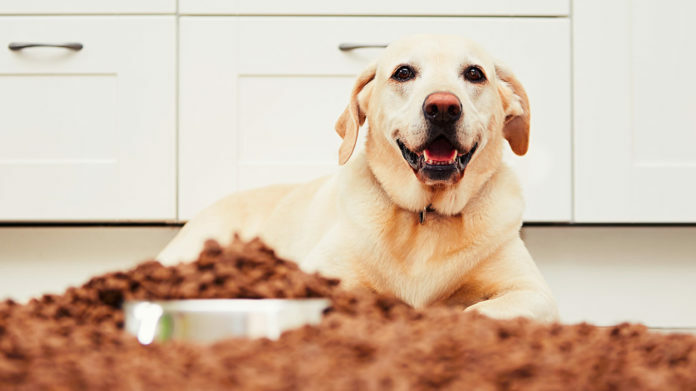 In this article, you’ll meet some of the best of the best limited ingredient dog food brands. 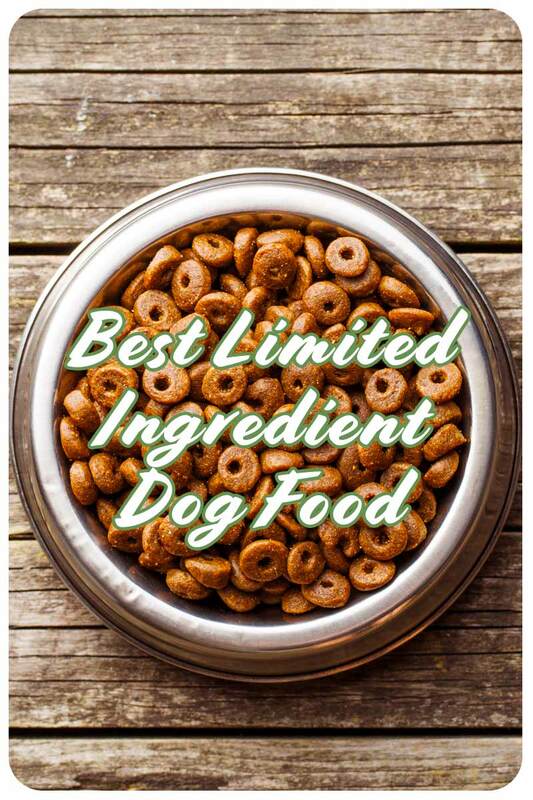 We have broken them down for you into specific categories such as limited ingredient diet dog food, limited ingredient dog food without peas, limited ingredient senior dog food, and even limited ingredient dog treats! 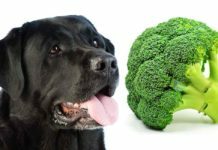 Past veterinary science was often inclined to treat canine obesity and age-related slowing metabolism with low-fat dog food. Today, modern veterinary science understands that dogs do not do well on a low-fat diet. 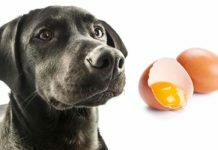 In fact, a protein-rich, high-fat diet is much more closely aligned with canine nutrition from an evolutionary standpoint. What can be helpful is reducing or eliminating grains (wheat, corn, soy), peas, sugar, additives or preservatives, by-products, fillers, plus ingredients no wolf or dog would ever ingest in a wild setting. TIP: If your dog has a very specific list of approved foods, this nifty free online Dog Food Wizard may be able to help you narrow down your shopping list to foods that best match your dog’s nutritional needs! 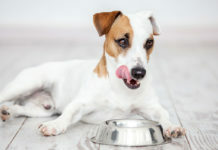 Transitioning your dog to grain-free limited ingredient dog food can be an effective way to reduce digestive upset, bowel irregularities, allergy symptoms, and sensitive stomach issues. The main reason has to do with how grains are grown and processed on a mass scale for human and canine consumption. 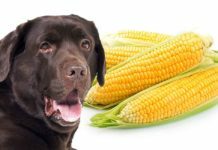 Genetically modified grains (GMOs) and mycotoxins in grain/feed stores are two common causes of grain intolerance in dogs and people alike. These grain-free limited ingredient dog food brands may be an appropriate solution to your dog’s dietary challenges! NUTRO Limited Ingredient Diet Adult Dry Dog Food. Nutro’s limited ingredient venison dog food also features three other recipes: lamb/sweet potato, duck/sweet potato, and salmon/lentils. Each recipe is guaranteed to be non-GMO, free of grain and chicken, and featuring 10 ingredients or fewer. Nutro states you can feed this dry food alone or mix with Nutro limited ingredient wet food (which features the same four basic recipes if you want to match them up). Merrick Grain Free Dry Dog Food Limited Ingredient. You can choose from 9 different grain free limited ingredient dog food recipes: lamb, Texas beef, turkey, rabbit, salmon, buffalo, duck, and venison. This food also includes added glucosamine/chondroitin for joint and hip health. If you like you can pair this dry food with the Merrick Limited Ingredient Diet Wet Dog Food, which features five recipes: lamb, turkey, chicken, duck, and salmon. Taste of the Wild Grain Free High Protein Natural Dry Dog Food. Taste of the Wild’s limited ingredient dog food is consistently highly rated and wildly popular with dog owners and their pups. You can choose from recipes for puppies or adult dogs. Puppy recipes include bison/venison and salmon. Adult dog recipes include bison/venison, salmon, lamb, and roasted duck. It sure can be tough on a pooch to have to go on a limited ingredient diet AND a weight management eating plan! But the truth is, sometimes food allergies can also cause weight gain, and finding a high quality, pure, limited ingredient dog food can also help trim the canine waistline! These tasty limited ingredient diet dog food options are great ones to talk over with your dog’s veterinarian. 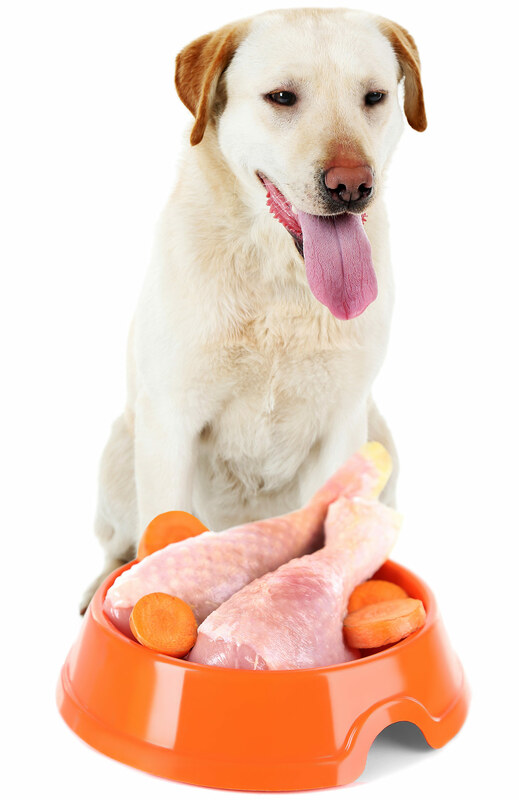 CANIDAE Grain Free PURE Dry Dog Food “Fresh Chicken for Weight Management.” CANIDAE’s limited ingredient dog food features chicken for the protein in a recipe with just 9 ingredients in total. Additional ingredients include peas, chickpeas, sweet potatoes, and potatoes. This food is also free from wheat, corn, and soy. Wellness Simple Natural Limited Ingredient Dry Dog Food “Healthy Weight Salmon and Peas.” This limited ingredient dog food salmon and peas recipe is designed to help your dog keep a healthy weight. 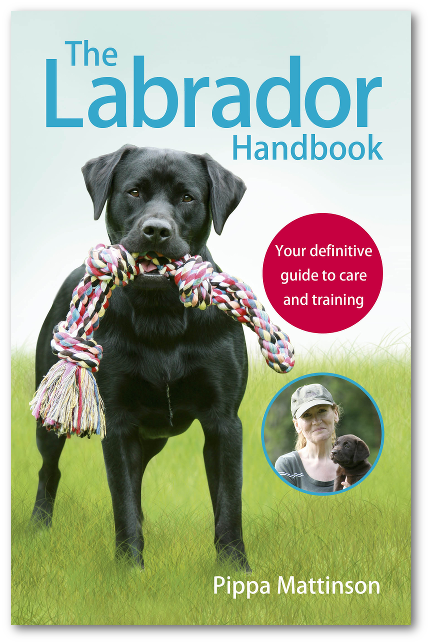 It is also suitable for dogs with allergies or food sensitivities. There is no gluten or wheat and no artificial ingredients or fillers. To help with weight control, the caloric content per portion is reduced while dietary fiber is increased. CALIFORNIA NATURAL Adult Limited Ingredient Dry Dog Food “Weight Management – Lamb.” This limited ingredient dog food features two weight management recipes: lamb/rice or chicken/rice. Not only is this dog food suitable for weight control, but it is also designed to help dogs with food sensitivities or food allergies. L-carnitine is added to help with fat metabolism. This dog food is free from dairy, eggs, white potatoes, corn, and soy. There are some common warning signs your dog may be struggling with allergies. Licking or biting at skin or paws, repeated scratching of the ears or rump, repeated infections, or bowel troubles are all possible symptoms of allergies. Your vet may want to do allergy testing to isolate the allergen(s) and may also recommend transitioning to a limited ingredient dog food for allergies such as one of these quality brands. BLUE Basics Limited-Ingredient Formula Adult Dry Dog Food. This limited ingredient dog food by Blue Buffalo is designed to support dogs who are struggling with digestive issues and food sensitivities. There are three recipes to choose from depending on your veterinarian’s guidance: grain-free turkey/potato, salmon/potato, or turkey/potato. These last two recipes are free from corn, wheat, dairy, eggs, and soy. Nulo Adult Grain-Free Dry Dog Food. Nulo limited ingredient dog food comes in three recipes: lamb/chickpeas, salmon/peas, turkey/sweet potato. This food is completely grain-free and also doesn’t contain any chicken or eggs. This food is a low-carb, protein-rich formula enriched with added Omega-3 and Omega-6 fatty acids plus probiotics for easy digestion. AvoDerm Natural Revolving Menu Adult Dog Food. This limited ingredient duck dog food also comes in turkey, lamb, trout, or beef recipes. As its name implies, AvoDerm is designed so that you can vary your dog’s dinner menu with each of these recipes without triggering food allergies or food sensitivities. This food is wheat-free, grain-free, and soy-free and also contains helpful probiotics to aid digestion. Finding a limited ingredient dog food without peas is more challenging than it might initially sound! Even if the recipe doesn’t contain whole peas, even many limited ingredient dog foods will contain pea fiber or pea protein. If your dog has a pea sensitivity, you can ask your vet about these limited ingredient dog food without peas options. Instinct Ultimate Protein Grain Free Recipe Natural Dry Dog Food by Nature’s Variety. Choose from two recipes: Cage-Free Duck or Cage-Free Chicken. This completely pea-free limited ingredient dog food is also grain-free and packed with probiotics, essential fatty acids, vitamins, and minerals. Natural Balance Limited Ingredient Diets Dry Dog Food. Natural Balance limited ingredient dog food is grain-free and comes in two recipes: adult (fish/sweet potato) or small breed bites (fish/sweet potato). Both recipes are designed to offer a grain-free complete and balanced nutrition food for dogs. You can also pair this dry food with the Natural Balance Limited Ingredient Diet wet food (fish/sweet potato) for some dietary variety. Rachael Ray Nutrish Just 6 Natural Dry Dog Food, Lamb Meal & Brown Rice Recipe. This newer offering from Rachael Ray Nutrish features just 6 ingredients per recipe, and in this recipe there are no peas! The six ingredients are lamb meal, brown rice, ground rice, beet pulp, chicken fat, and chicken meal plus added vitamins and minerals. Finding the best limited ingredient canned dog food is so much easier than it used to be! 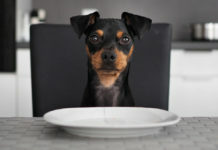 As dog food brands increasingly create new recipes to serve dogs’ special dietary needs, there are lots of tasty, nutritious options that won’t trigger your dog’s allergies or sensitive digestion. “I and love and you” Grain Free Canned Dog Food. “I and love and you” limited ingredient wet dog food is a newer name in the high-quality dog food market, but it is gaining popularity rapidly. This grain-free canned dog food comes in five stew recipes: Beef Booyah, Lambarama, Clucking Good (Chicken), Gobble It Up (Turkey), Moo Moo Venison (Cow/Venison). This is designed to be a complete and balanced food for your dog and is designated as allergy safe. Instinct Limited Ingredient Diet Recipe Natural Wet Canned Dog Food by Nature’s Variety. This wet limited ingredient rabbit dog food also comes in three other recipes: lamb, duck, and turkey. All four recipes are free from chicken, beef, fish, dairy, eggs, grain, potato, corn, wheat, and soy. For true simplicity, each recipe features a single protein and a single vegetable. The texture is a loaf that is palatable but not messy to serve. Honest Kitchen The Limited Ingredient Fish Dog Food Recipe. Honest Kitchen’s limited ingredient wet dog food may look like it carries a hefty price tag, but only until you realize that 10 pounds actually makes 40 pounds of dog food! There are smaller sample packages to try until you are sure this is the right food for your dog. This super-simple wet food is very flexible and contains just six ingredients per recipe. There are five recipes: beef/chickpea, chicken/quinoa, turkey/parsnip, fish/coconut, duck/sweet potato. All you have to do to prepare this food is to add water. As your precious pup gets on in years, she may not feel like being so active as she was when she was young. Her metabolism may naturally start to slow as well. As your dog enters her senior years, you may want to talk with your vet about transitioning her to a limited ingredient senior dog food such as one of these high-quality options! BLUE Wilderness High Protein Grain Free Senior Dry Dog Food. This grain free dry dog food is specially designed to meet the nutritional needs of less active senior dogs. This high protein, low carb food also contains BLUE’s LifeBits, small kibble that contains vitamins, minerals, and antioxidants in a senior dog-appropriate blend. This food has no by-products and no corn, wheat, or soy. Instinct Raw Boost Grain Free Recipe Natural Dry Dog Food by Nature’s Variety Senior Chicken. This is one of the best limited ingredient dog food options because it includes both freeze-dried raw protein and tasty high-protein kibble for variety in every meal. There are no artificial colors, preservatives, grain, potato, corn, wheat, soy, or by-product meal. The recipe includes extra glucosamine/chondroitin for hip and joint support plus extra calcium/phosphorus for bone health. Holistic Select Natural Grain Free Dry Dog Food Senior. This carefully balanced protein-to-fat recipe of chicken/lentils is designed to meet the needs of less active senior dogs with slower metabolisms. It includes added glucosamine/chondroitin for hip and joint health and is free from corn, by-products, fillers, artificial colors or flavors, and preservatives. Life is just more fun with dog treats. Dog treats also make training easier and faster! Plus, these limited ingredient dog treats are both tasty AND healthy for your dog and that is an unbeatable combination! Natural Balance Limited Ingredient Dog Treats. These highly rated and popular limited ingredient dog biscuits are offered in six recipes: potato/duck, brown rice/lamb meal, sweet potato/bison, sweet potato/chicken, sweet potato/fish, and sweet potato/venison. There is no corn, soy, or wheat in any of the recipes. PS For Dogs 100% Hypoallergenic Dog Food. While this is designed to be a protein-rich dog food, most owners feed it as a treat (due to the high price/low quantity). 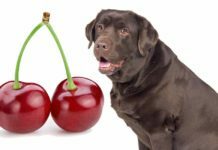 As a treat this is an excellent addition to your dog’s limited ingredient diet, especially if your pup is struggling with symptoms from allergies or food sensitivities. You can choose from freeze-dried lamb or turkey. Merrick Grain Free Kitchen Bites Dog Treats. These fun limited ingredient dog treats are oven-baked, all-natural, grain-free, and gluten-free and also are free from corn and soy. You can choose from five recipes: Turducken, Grammy’s Pot Pie, Wingalings, Cowboy Cookout, and Brauts-N-Tots. We hope this article has provided you with resources and ideas to choose your dog’s new limited ingredient dog food with confidence! Freeman, L., DVM, PhD, DACVN, et al, “What every pet owner should know about food allergies,” Cummings Veterinary Medical Center at Tufts University, 2017. Krause, A., DVM, “Should Your Pet Eat Grains?,” Boulder Holistic Vet, 2017. Thomson, A., “Ingredients: Where Pet Food Starts,” Companion Animal Medicine, 2008. Di Donfrancesco, B., et al, “Consumer Acceptance of Dry Dog Food Variations,” Journal: Animals, 2014. Eisenschenk, M., MS, DVM, DACVD, Veterinary Dermatologist, “Food Allergies and Food Trials for Dogs and Cats,” Pet Dermatology Clinic, 2017.